When Rich German was paddle boarding off the cost of Laguna Beach, California, an interesting group of spectators formed. 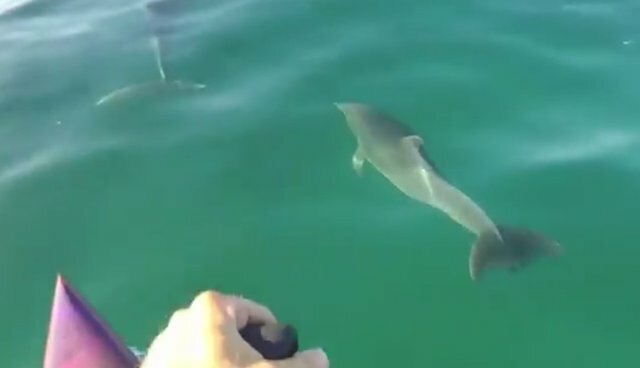 A pod of six bottlenose dolphins appeared, and seemed intent on following German's board. German couldn't help but wave excitedly at his unexpected new friends. These helpful cetaceans returned the sentiment by giving German their own version of a wave! Dr. Naomi Rose, Marine Mammal Scientist at the Animal Welfare Institute tells The Dodo that German handled the approach of the wild dolphins appropriately. 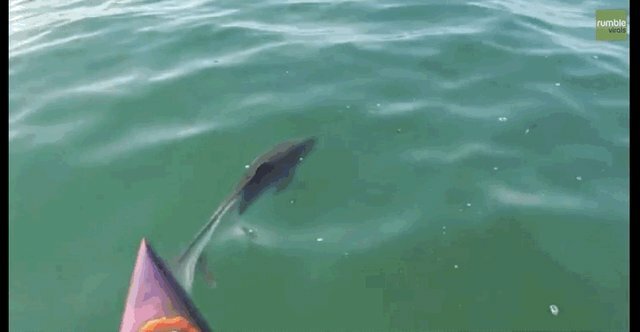 "They are basically playing with the paddle board, riding its bow and interacting with it. The paddle boarder did the right thing - just kept paddling, no change in speed or direction. The dolphins approached voluntarily - don't disrupt them." "They were riding along and obviously choosing to do so," Dr. Lori Marino, Executive Director at The Kimmela Center for Animal Advocacy, told The Dodo. 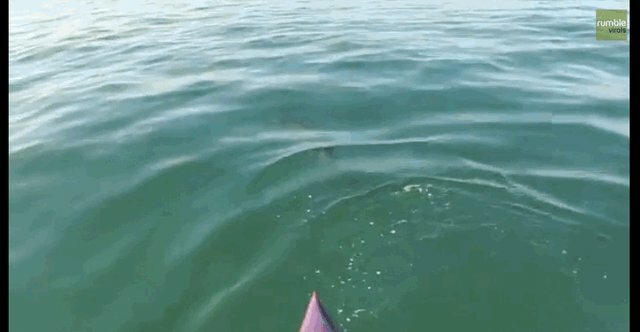 "But they also kept their distance and it was good to see that the paddle boarder just continued on his way and didn't make any attempt to chase after them or touch them. 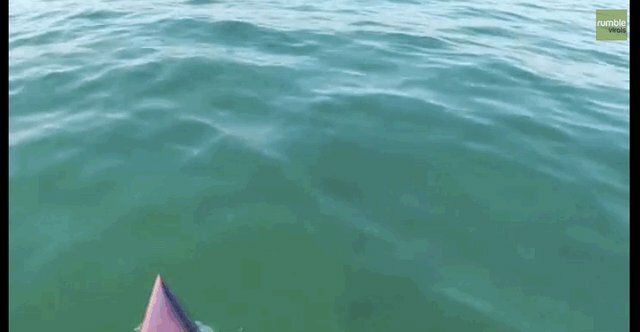 Basically, his behavior stayed the same and he let the dolphins decide what the interaction should be. Perfect!"